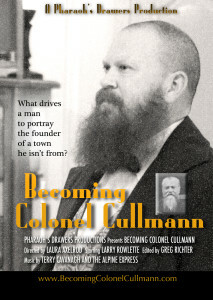 We are pleased to announce that “Becoming Colonel Cullmann” is a selection at the Sidewalk Film Festival. It will be screened on August 24, 2014 from 4:40 p.m. to 6:30 p.m. at the Alabama School of Fine Arts Recital Hall. If you like the music in our film, be sure to check out the Terry Cavanagh and the Alpine Express website.